**Guests are to be advised to call ahead to ensure kitchen is still open for late tables. There is paid parking available in the Casba building, entry via Danks Street. Alternatively there is limited street parking available on Danks Street and the surrounding streets. M20, 301, 302 and 303 buses all stop on Bourke Street (corner of Danks Street) then it is a short walk down Danks Street to Luke's Kitchen. For a sit down set menu dinner or cocktail-style function for up to 75, step behind the beaded curtain with front row seats to our theatre-style kitchen. For smaller, more intimate gatherings, presentations or meetings we also have The Green Room located upstairs above our wine cellar. Looking for the perfect place to host your next private event, corporate function, birthday party or celebrate a special occasion? 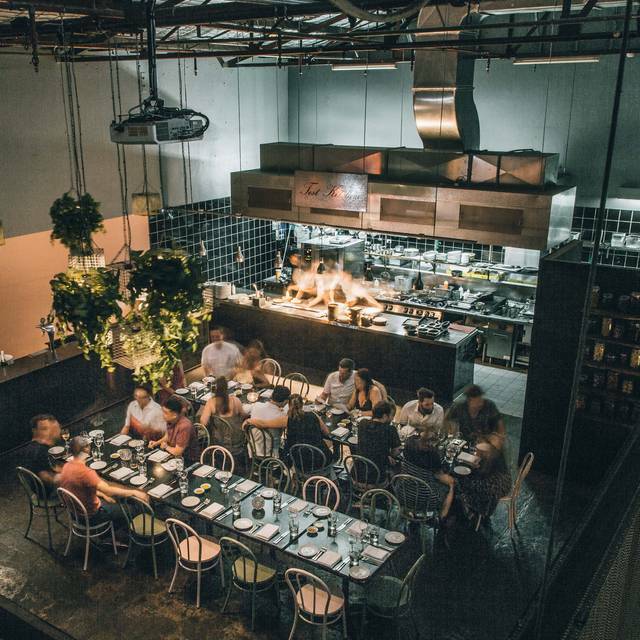 Luke’s Kitchen is home to Australian Restaurateur Luke Mangan, his head office team, Virgin Australia Test Kitchen, event space and gourmet Providores. It’s your home just as much as it is ours and we want you to feel that as soon as you walk through our doors. 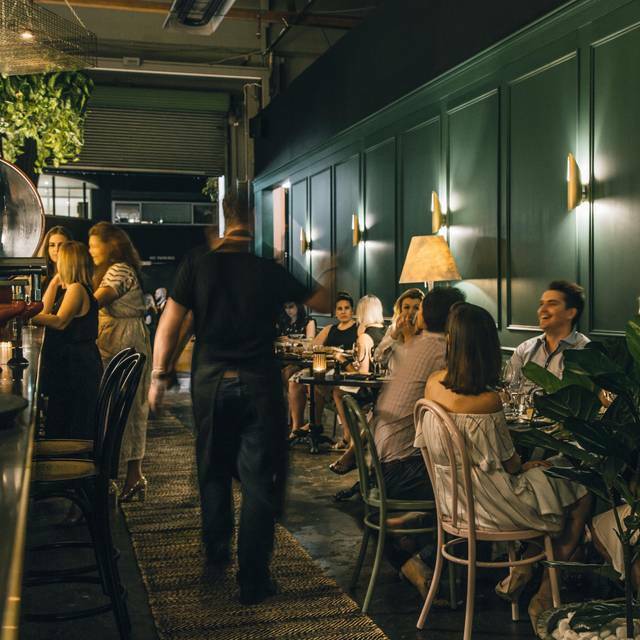 Previously the New York-style warehouse restaurant and wine bar, MOJO by Luke Mangan, 8 Danks Street in Sydney has been transformed into an elegant and modern eatery with a casual, lounge-like feel. 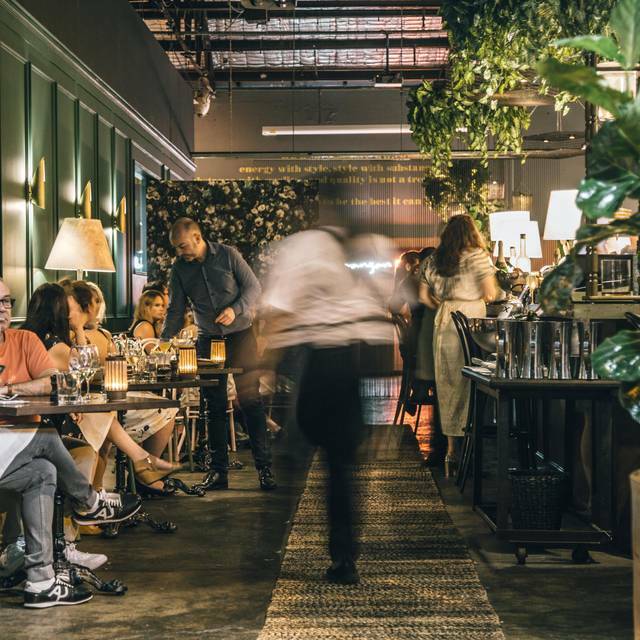 Complete with lush greenery, earthy tones, contemporary furnishings and rustic finishes, Luke’s Kitchen exudes a warm and welcoming atmosphere and offers brunch, lunch and dinner from Wednesday to Sunday. 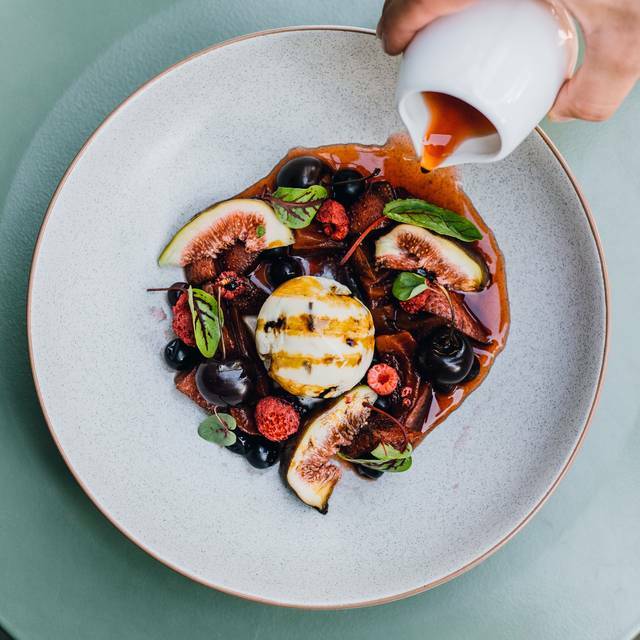 Luke and the team are passionate about showcasing seasonal ingredients and local Australian produce, including products from Luke’s Providores range made in collaboration with unique Australian suppliers. We loved the atmosphere and decor in what looked like an old warehouse. The service was great. The tasting plates were a good portion and the matching wines complemented each course. We will be back and bring our friends. We only just discovered this place and could not wait to try it. We were not disappointed - the interior is great giving it a good vibe, the food was really good and the staff excellent! Staff were friendly and relaxed. Food was exceptional. Had the tasting menu with matching wines. The wines were perfectly matched to the courses. First time here and would come back again. Would definitely recommend this place. The food was fantastic, so tasty. The service was really good too. The only negative was the waiter kept taking away our plates without checking if we were actually finished ... which we weren’t! He did it for both the main meal plus dessert. Love my local fave. Stunning food, yet again, too many delicious choices so we had to be selective in ordering for 3, we couldn’t order everything we wanted. Impeccable & attentive service, from Rhys/Reece our waiter and Daniel the manager. Will definitely return very soon. We went to Luke's Kitchen as a group, straight after a big day of work. We had a variety of sharing plates and the market fish (snapper) and market meat to follow. 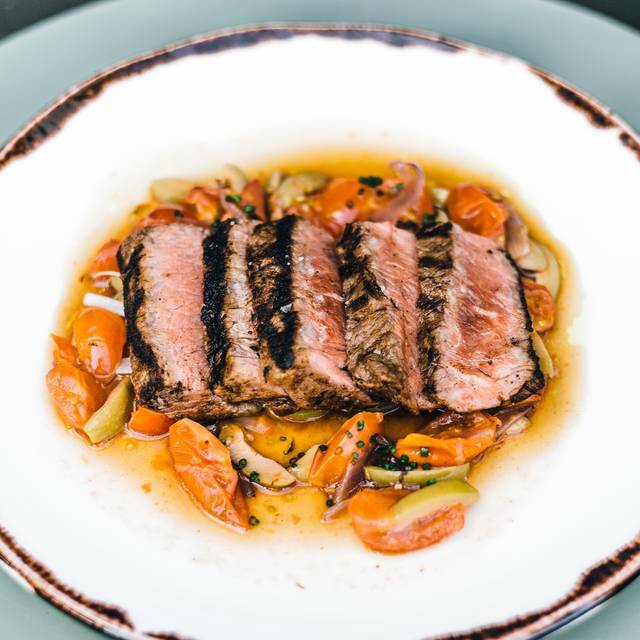 The food and service were extraordinary - there was not one dish that didn't hit the mark. Thanks for a very memorable night. First of all , the floor and bar staff that were on that night were absolutely amazing. Thanks boys. The only thing I didn’t like was , Value for money, where is it ? If Luke was in the kitchen cooking your meal and you could see him in action then I would understand the prices. Zucchini flowers on the menu, sorry, we only have zucchini. King fish , that was disappointing. There was not enough seasoning and the portion size was small compared to the price. 1 whole snapper for 2 and it was really for one. I’m sorry but that’s false advertising. I came and tried it because someone recommended it to me but I won’t be recommending it to anyone else unless they where just going for drinks. Thanks. An excellent first experience. Good service and good food! Very accommodating! The staff were extremely attentive, we were greeted immediately and well looked after during the whole experience. The food was amazing, I would go back in a heartbeat (especially for the duck toastie). The tasting menu was very well priced, and was great with the matching wines. The staff were friendly, and very helpful. The fitout was lovely, yet not overdone. Very happy here for date night. The food is exceptional & the staff are on point. The soundtrack is great which is so much fun because you are bopping away to every delicious bite! Love it! As always, the food was amazing, and the manager and staff very professional yet super friendly and fun. There were a few new items on the menu and we tried them all and ate like kings. Great cocktails served table side, and great selection of wines and after dinner drinks to explore (try the Strega!). We had the tasting menu with matching wines. Thoroughly enjoyed the food, I left feeling full but not over full. The wine pairings all went beautifully with the food. Service was fantastic, friendly and attentive. All in all this is our new favourite place and we will back very soon! Will definitely be taking friends and family when they visit Sydney. Again a great meal with excellent service though a couple of times the kitchen forgot that I had a dairy allergy. The bottomless brunch is wonderful. Thank you very much for taking the time to leave us a review. We are thrilled to hear you enjoyed the Bottomless Brunch and overall had a great dining experience. We take food allergies very seriously and apologise for the mishap and will ensure this does not happen again. Thank you and we hope to see you again soon. Warm regards, the Luke's Kitchen team. Been here twice and food and service are excellent. Hi Jon, we're so glad to hear you loved Luke's Kitchen so much that you came back for more! We appreciate you taking the time to leave us a review and very much look forward to seeing you again soon. Warm regards, the Luke's Kitchen team. The food and service were both amazing. The restaurant was hosting two large groups and it was a bit understaffed. Fortunately our food and bill came before the groups. Ambiance was a bit odd but the food more than made up for that. Thank you for taking the time to provide us with a review and your honest feedback, which is most valuable to us so we can improve. We hope you enjoyed your overall dining experience and we hope to see you again soon. Warm regards, the Luke's Kitchen team. A very memorable evening - not only was service and food excellent but we had the (reportedly rare) pleasure of being greeted by the owner/chef Luke Mangan. He even agreed to prepare the signature dessert, Rocky Road in front of us. Highly recommended. The food at Luke's Kitchen was amazing, delicious, well-presented and memorable. A couple of small issues let it down - we couldn't get a booking until 8.30pm on a Friday night which was no problem but once we arrived, we were rushed to order as the kitchen was closing. But overall - it was a great recommendation from a friend and we really enjoyed our evening. Enjoyed it, the wait staff were friendly, thought they forgot the extra chilli we reordered. I enjoyed the food and the wine and would definitely come back. Service was inattentive. There was no attention to detail. Our salad was forgotten and only ordered after we warned that it hadn’t arrived. No attempt to top up our water glasses. There was a horrible odour when we entered the restaurant. We were told this happens when it rains! Food service ambience & music were sensational ! Great dining experience, excellent staff and service and a treat to meet and chat with Luke Mangan. The food was delicious and the service was warm. Visited Luke' Kitchen for the Bottomless Brunch - sensational experience - unhurried, attentive service, great food. My friend and I resolved to repeat the experience. Our party of four had an amazing dinner at Luke’s Kitchen. The service was impeccable and the team very personable & attentive, with waiters chatting and offering great menu recommendations when asked. Our glasses were never empty, with both water and wine glasses refilled without us even noticing while we chatted. 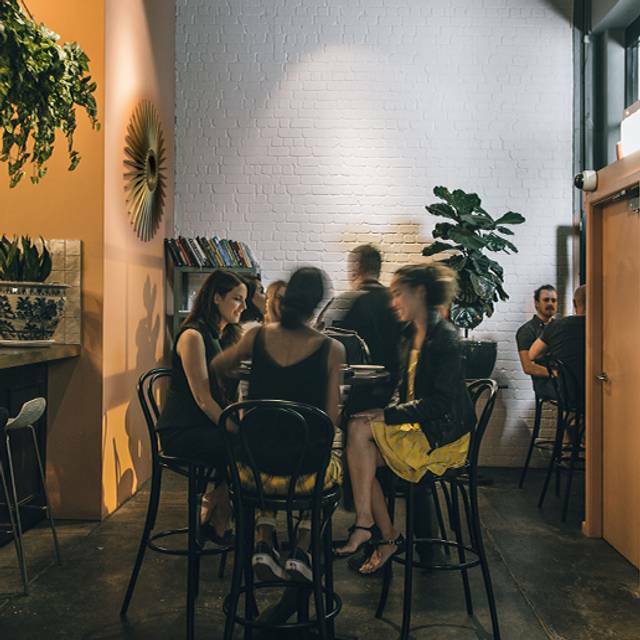 These service qualities are rare in most restaurants in Sydney, in most cases you have to ask for your table to be cleared or for your glasses to be refilled. The food was sensational and selection on the menu catered for us all, with too many delicious choices that we couldn’t try in one dinner. Our standout dishes were the lamb croquettes, gnocchi, braised beef & potato skins. All delicious and tasty, leaving us wanting more. Ending our dinner on a high, we ordered the Rocky Road. A ‘must order’ dish for anyone who dines here. 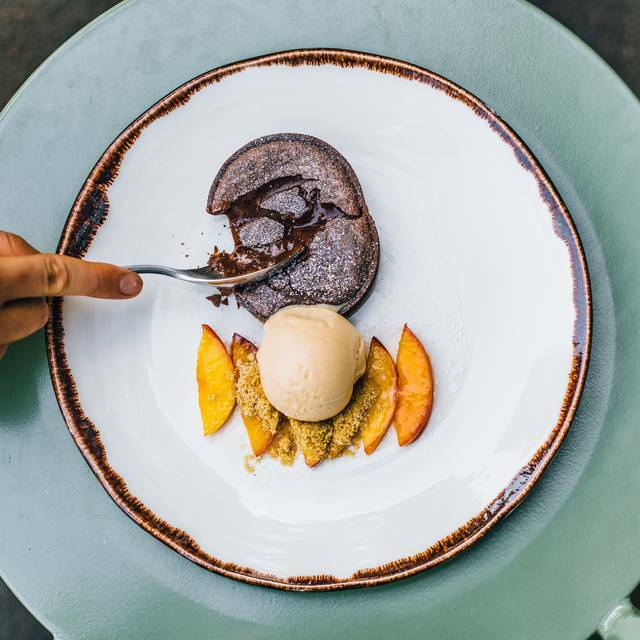 It’s a dessert for sharing and masterfully presented table-side by the waiter. You won’t be disappointed!! 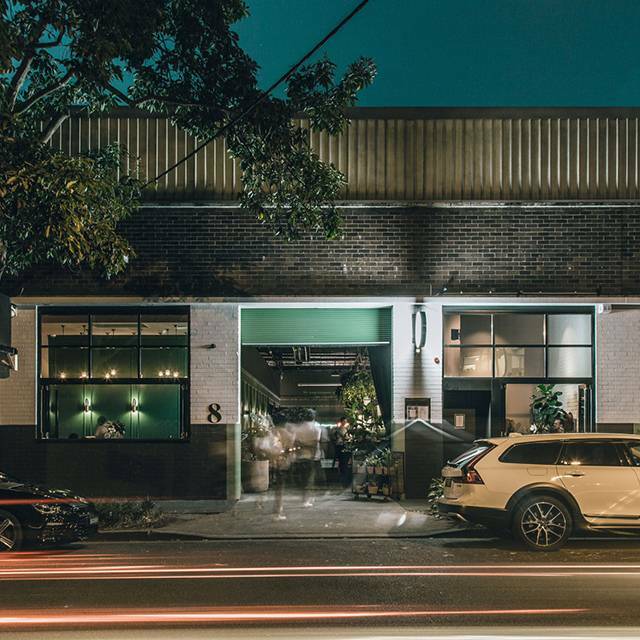 Luke’s Kitchen is a great local neighbourhood gem, but should become a destination restaurant for any foodie. The menu is incredible with too many great choices for one dinner, so we’ll be back to try more dishes. 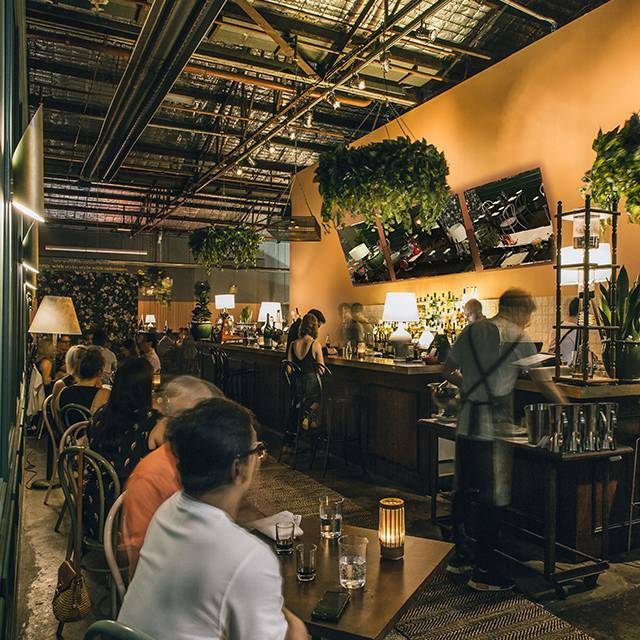 Impeccable service, great wine list and an easy location with street parking. Will definitely be back soon. Great service from our waitress. She was kind and patient with us. Also explained food that we did not know about. Overall great experience! My new favourite place! Best brunch menu in town! This was my 3rd visit! The service received from Daniel & his staff is impeccable (& I'm in the Hospitality Industry so always a critic!) Can't wait to try the bottomless brunch! Amazing experience. Food, service and decor was exceptional. Would highly recommend Luke's Kitchen. Another Mangan classic!!! Surprisingly cozy on a cold winter's night, with delicious food and truly excellent service. Recommended! Our 12th wedding anniversary dinner was wonderful. The atmosphere, attention to detail and food was all spot on. Add to that, that Luke was there saying hi to everyone and working made it really special. Cheers and thank you for a fabulous night. So much food! And all of it amazing! Definitely worth the food coma that followed! They are attentive and the food is excellent . Excellent and social experience. Aside from the vinegar rate to the gnocchi, the food was excellent and I loved the Australian.